Venn diagrams are a great way to show relationships between sets. They are heavily used in maths but as of late has become a diagram of choice for memes as well. 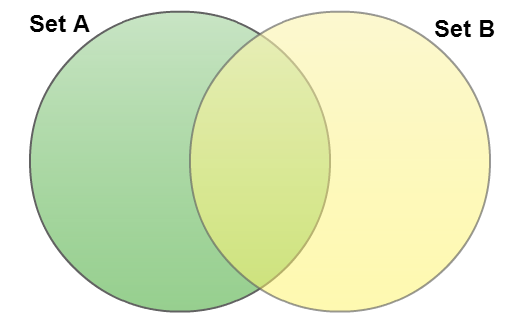 Creately has some excellent tools to help you create Venn diagrams with amazing ease. If you’re in a hurry you can make use of these Venn diagram templates. Lets start drawing with a basic Venn diagram. Click on the below image and we’ll open the diagram for you in our online editor. Don’t worry about creating 3 circle Venn diagrams, 4 circle Venn diagrams etc because you can easily add more circles by just dragging and dropping. Once you’re in the editor select the text boxes “Set A”, “Set B” and name them the way you want. You can add more data to your Venn diagram by adding more text boxes. You can do that by clicking the “Text” icon in the top toolbar. If you want to change the color of an object, select the object and click “Styles” at the top. Every row in the color palette is designed according to a theme. For example the first row consist of rainbow colors, suitable for classroom work and memes. The second row consist of flat colors which is more suited for professional work. Sticking to one theme will give your Venn diagram a more professional look. If you want to add more sets to your Venn diagram drag and drop a circle object from the “Basic Shapes” library to the left. It should be first library by default but in case its not there you can load it using the “Get More Object” option at the bottom left. Sometime you don’t want fancy colors in your Venn diagram. You just want a blank Venn diagram to add your data. Don’t worry we got your covered. Just use the “No Fill” check box in the “Fill” option and you’re good to go. As you can see in the animation, you can also add colors to your circles using this option. The image displays it well. You can use this to make object transparent and show what’s behind that object. Notice how the colors of the intersections change when applying the fade? This allows you to show natural color combinations without picking and choosing colors for each intersection. Venn diagrams are a popular choice for memes. Even if not for meme adding an images to your Venn diagram can enhance it further. With any other software you need to find an image and then upload the image to add it to your diagram. With Creately it’s just a matter of dragging and dropping. Search for images in Google using the “search” option at the top left. By default only “Creately Objects” are selected. Make sure to select all options to get the best images. 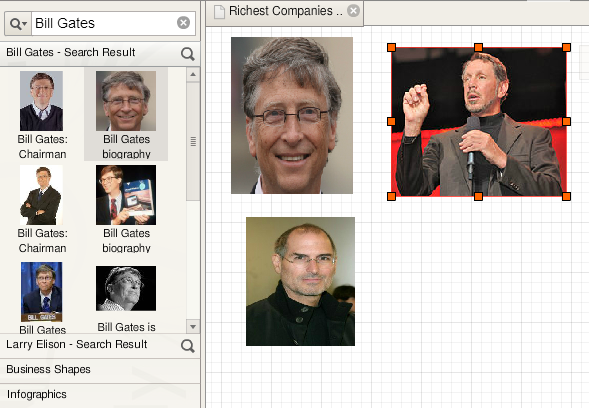 Then search for your image by name and drag and drop it to your Venn diagram. Below image shows how it works. We sincerely hope you like our tool set provided to create Venn diagrams online. If you have any questions do ask them in the comments section or simply drop us an email to support@creately.com . In the meantime have fun creating awesome Venn diagrams. 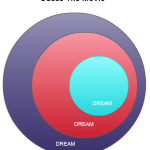 I get help from this blog post for creating Venn Diagram for my project. i am computer engineer and also a website owner. this post is really a fantastic one as ever seen on web.